What if I told you the “hustle” movement was a lie? Before you gasp in shock, hear me out. Our society seems to celebrate the mentality of “work hard, play later” and that being busy means you must be successful—but that’s simply not true. The most successful people I have ever coached know that focusing on results—and achieving them in the least amount of time possible—is the secret to success—NOT working tirelessly around the clock. You don’t have to become successful to live this way. You have to live this way to become successful. Find more time to enjoy the things you love by learning to sharpen your focus when you are working. 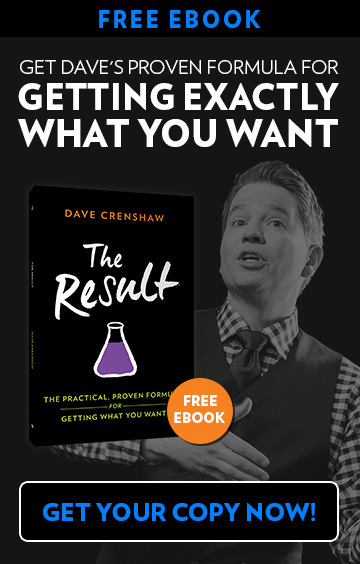 In my book, The Result, I go over every step of my proven formula on how to focus on results and do it in less time. The exact same formula my clients pay thousands to learn! Right now, I am basically giving my book, The Result, away! It’s only 99 cents until January 30th. 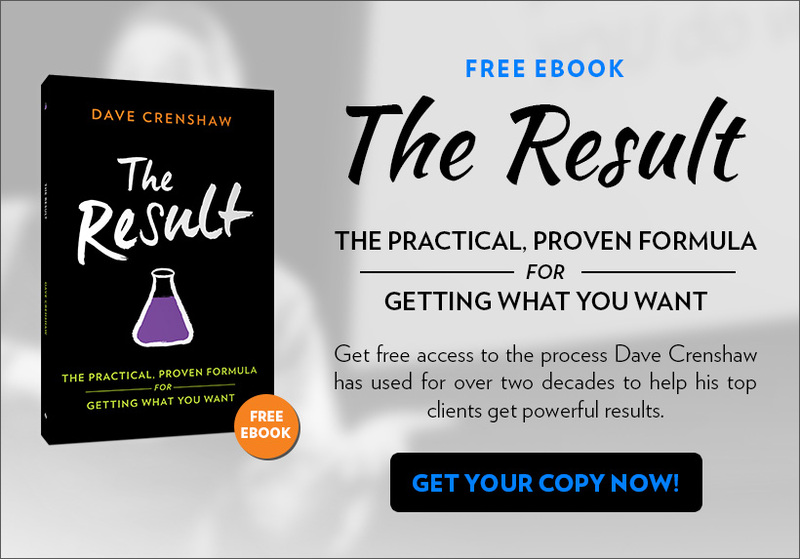 Go to DaveCrenshaw.com/formula and get your copy today and take charge of your life. I was also recently featured as Author of the Day by Many Books for “The Result.” Check out the interview at ManyBooks.com!